The Arts and Sciences Federations Associations outgoing president Jonathan Roy has resigned from his position, effective immediately. 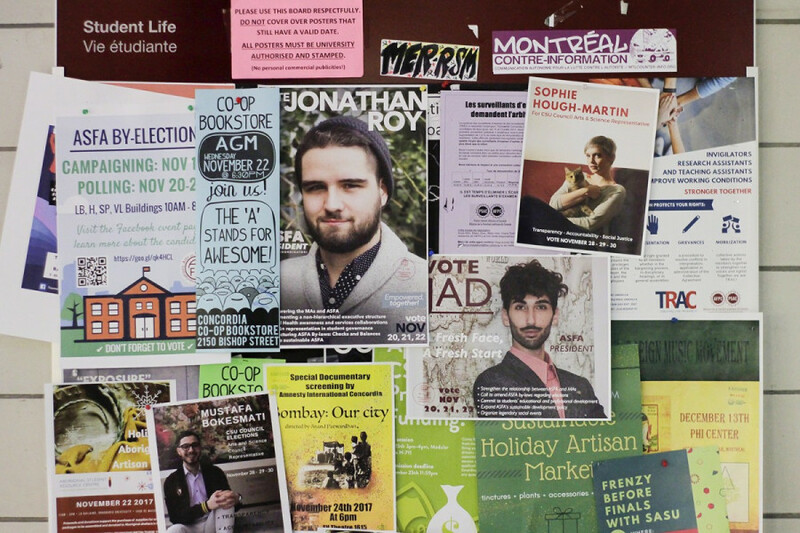 A website, launched by Concordia students Harris Turpin and Zoe Miceli, accuses Roy of abusing his authority within Concordia’s student associations, and brings forward allegations of sexual harassment. In addition to resigning from ASFA, Roy has resigned from his position as a Concordia Student Union councillor, board member at campus bar Reggies, and senator at Concordia’s senate—the university’s highest academic decision making body. The Link reached out to Roy for further comment, but he said that all he had to say was within his resignation letter. “We wholeheartedly regret the way that this situation has been handled. We apologize, and we are working to do better in the future,” the statement reads. ASFA said they became aware of the concerns that were brought in by members against Roy sometime in February. ASFA’s lawyers sent a cease and desist order asking the website be taken down, but the website still remains online. ASFA apologized for authorizing the cease and desist letter, and ensured that they will not pursue any legal action with the owners of the website. ASFA’s outgoing Vice President of Internal Affairs and Administration, Rachael Hutchinson, said that lawyers were used to protect the federation and not Roy. Since February, ASFA has suspended their harassment policy due to the problematic nature of their old one, and have been working on a new one. They opted to follow the CSU’s harassment policy, but failed to realize that the CSU does not have one. In the meantime, ASFA will be redirecting students to the Centre for Gender Advocacy, and the Sexual Assault Resource Centre for any issues. In 2014, ASFA found itself in legal trouble with the Centre for Research Action on Race Relations after sexual and racial harassment complaints came up. By the end of the legal action, ASFA was mandated to create a task force and find a solution to combat sexism and racism in the association. According to Hutchinson, the Task Force to Eliminate Racial and Sexual Harassment is still working on a new harassment policy, and she hopes it’ll be approved during ASFA’s May council meeting. ASFA will be collaborating with the Gender Advocacy and the SARC to ensure their policies on sexual assault are accessible to survivors. They said they will be holding workshops surrounding consent and sexual violence on campus. “We are very sorry for the inappropriate actions we have taken, for our insufficient response, and for our failure to include a survivor-centred approach in our harassment policy sooner,” the statement read.